Neo-Pure features a wide selection of 304L or 316L stainless steel housings. Optional 3M™ Scotchkote™ 134 Fusion Bonded Epoxy Coating for sea water applications. 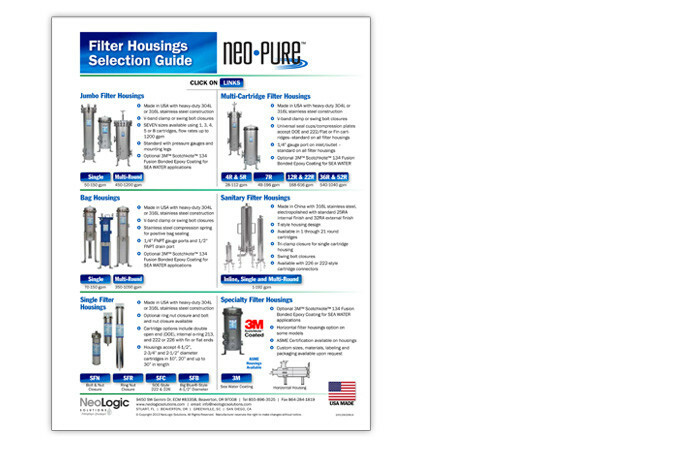 The Neo-Pure Filter Housings Selection Guide below contains the complete Neo-Pure line of filter housing products.